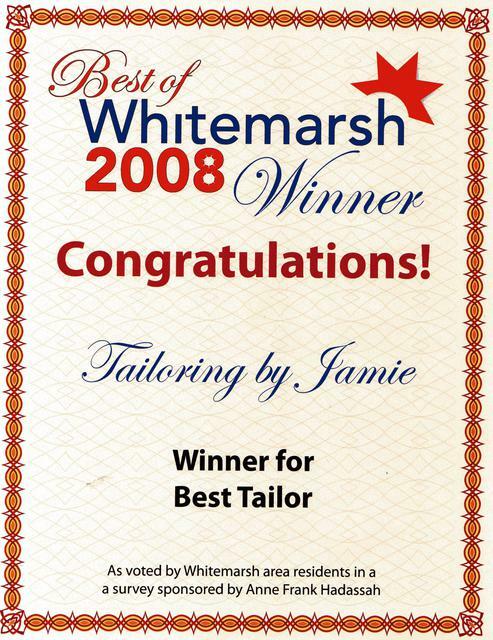 Jamie opened the tailor shop in 1995 after having trained and worked as a tailor for 15 years at previous established shops and she is still at the same location. Quality work with quick turnaround, and same day service is available! Our customers have always been, and continue to be, our #1 priority! We can handle almost any alteration problem you may have. So bring in that favorite blouse or pair of jeans that don't quite wear the same anymore since you've been working out at the gym! If that diet isn't working, tailoring may help! Thank you for contacting me. !